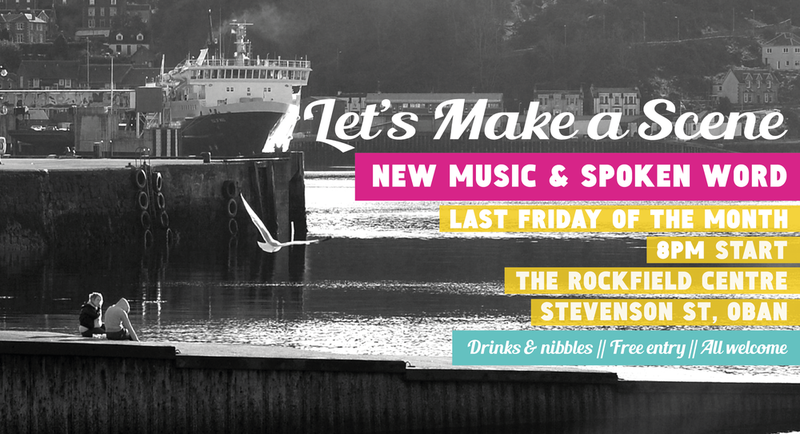 Let's Make A Scene is a relaxed open mic night for new music and spoken word being created right here in Oban. We'll have open spots for performers of all ages. It's dead informal and new performers are very welcome. Set up is a small PA, 2 mics, an electro-acoustic guitar and a stage piano. Feel free to bring your own instruments or to play acoustically if you prefer. Any questions, just get in touch.